As we await the imminent arrival of Catnap, we are taking a moment to feature items made with other lines of Lizzy House fabric! 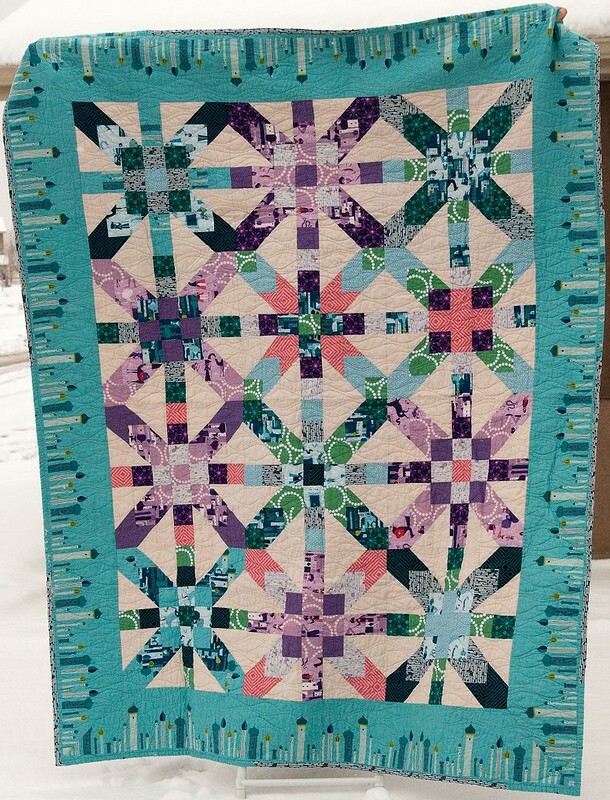 This post is going to highlight a few quilts, pillows, and other home goods. I am saving the apparel for a second post. Lizzy House is a fabric designer known for her whimsical drawings and her clever color stories. Catnap features mice and cats, yes, but there is also a re-imagining of her classic butterfly print from her Hello Pilgrim line, as well as coordinating stash builders like Pearl Bracelets and Jewels. 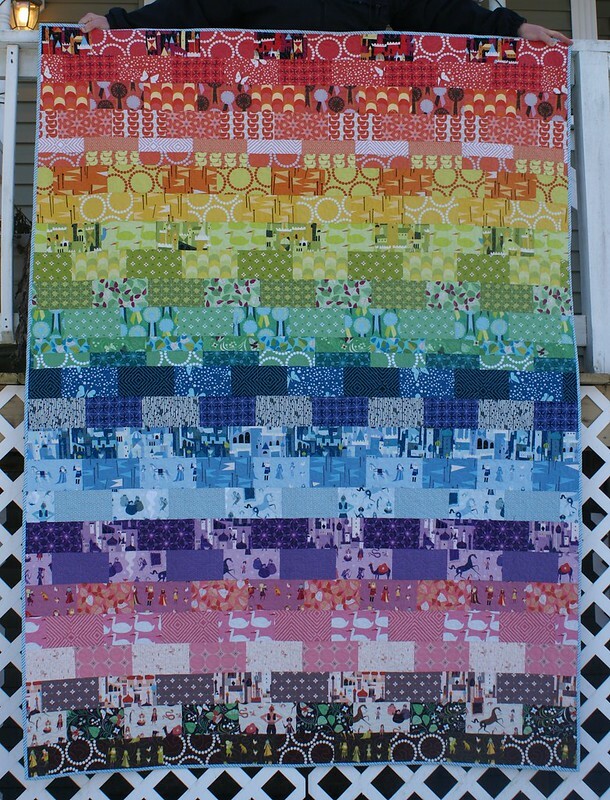 Laurie of Dresden Lane made this spectacular rainbow quilt with prints from Lizzy House's Red Letter Day, Castle Peeps, 1001 Peeps, and Hello Pilgrim collections. There is also at least one print from Lizzy Dish and one from Outfoxed. Brooke of Pitter Putter Stitch used Freshly Pieced's Supernova pattern to make this 1001 Peeps top as a bee project. I love those towers as a border! 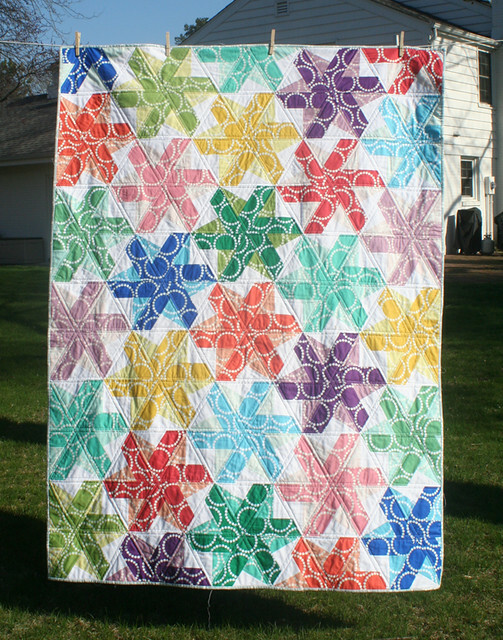 And speaking of Freshly Pieced, Lee made her luscious Bloom Bloom Pow quilt with Pearl Bracelets. 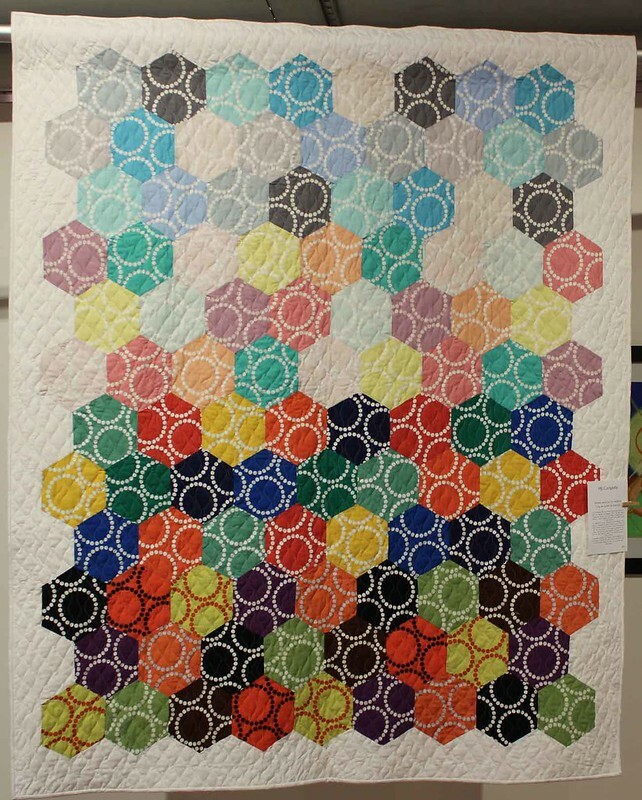 The construction of this quilt is as clever as the results are gorgeous. 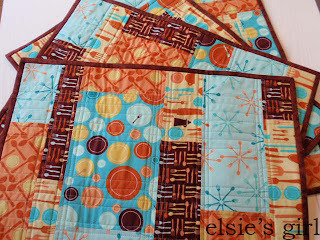 Shelley of Elsie's Girl made these adorable placemats using a pattern by Elizabeth Hartman with my favorite Lizzy House line, Lizzy Dish. 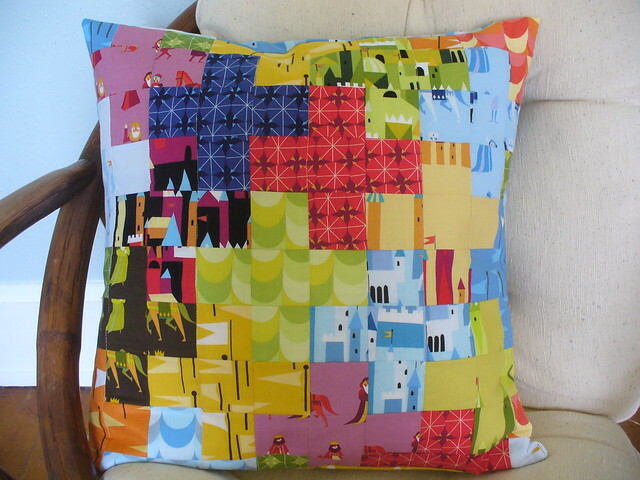 EliseH32 made this pillow using a pattern from the book Pillow Pop, featuring Castle Peeps. I think the clean design really shows off those adorable prints! And Tina of BostonSewer made this amazing hexagon Pearl Bracelets quilt, using all the Pearl Bracelets ever made! (Although there are more coming!) I love how she organized the colors! And now, what shall we make with Catnap? I know I have some plans for it! Whatever you make, be sure to share it with us in our Made With Pink Castle Fabrics Flickr group!